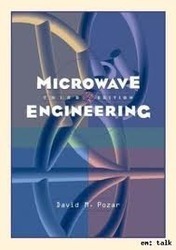 Responsible for microwave engineering using Pathloss IV. Requires extensive experience with Part 101 and Part 74, ENG systems, control systems, design of DC power, ancillary hardware, interface equipment, Cross connects, and remote control systems.Leadgroup provides a wide range of microwave services to broadcasters, public safety organizations, wireless carriers. Cellular networks facing challenges are extensive and unavoidable due to new technology, Coverage and Capacity requirement. Maximizing the Value of Existing Network Transmission Resources, are challenging task and our Transmission Network Planning is crucial services for designing any network access requirement. The Department has organized itself with the latest technological development in the field of Electronics & Communication and has established the following state-of-the art labs. Kalinga Security Engineering Services had started in 1998. Today, our Engineering Services have more than 500 talented engineers. Skytel has the experience in working on tools such as the Path Loss Tool.